With Valentine's Day quickly approaching I wanted to get Brandon a unique gift that would be timeless, memorable and also something sentimental. With such a tall order in mind I was so ecstatic when I came across JORD Wood Watches. JORD has the perfect pieces for both men and women. 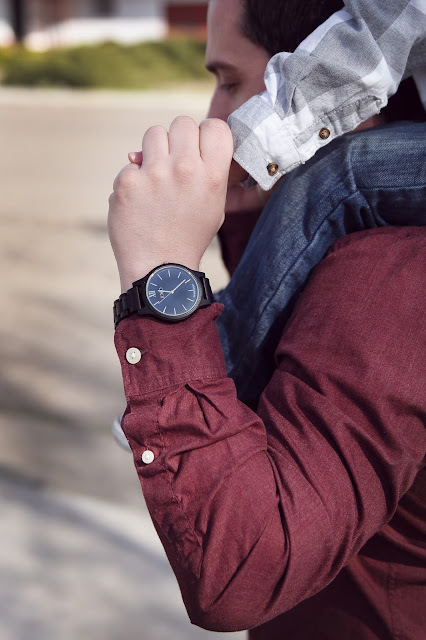 With great quality and so many beautiful and unique styles to choose from, I was excited to pick one for Brandon to give him as a Valentines Day gift. His style is very simple, clean and not too busy. 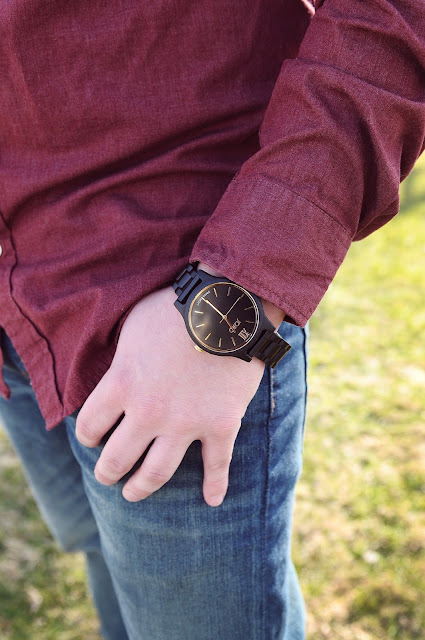 I picked a watch from the Frankie Series in Ebony and gold. When I surprised him with the watch he was ecstatic and so surprised to say the least! I had his favorite bible scripture engraved on the back for him as well. JORD did a beautiful job with the engraving. It added an even more special touch to the perfect gift! He said he "has always wanted a great watch" and he has been wearing his JORD everywhere! I always try to do something special for Valentine's Day for Brandon and I. I like to take advantage of the holiday and go the extra mile to make it a super special day. To think how many Valentine's Days we have celebrated, it can be hard to do something different each year. We have been together for 11 years, married for 7 and friends for 14 years. We were still in high school when we met on a busy and well known street on a Saturday night. We were so young, we both were still driving our parents cars when we both approached the same red light side by side. We both had a passenger in our cars (his best friend still to this day and my cousin in mine) As I looked over, I thought to myself "Hey that guy looks kinda cute, Well I'm gonna go out on a limb on this one!" I jokingly held my thumb and pinky finger to my ear signing "Call me" and smiling. At that moment his friend rolled down the window and took my phone number. The light turned green and laughingly I drove home almost forgetting about giving my number out until my good old Nokia phone rang. That phone call began a friendship that eventually blossomed into a beautiful love, marriage and even the blessing of a sweet baby boy after we were married. Being married for 7 years is really quite special to me. Things are not always easy and marriage takes a lot of love, forgiveness, kindness and selflessness. I remember our Pastor telling us and all of our wedding guests that love was a choice. As difficult as it may be sometimes it's so important to CHOOSE LOVE. Even in the times when you don't feel like it. It's easy to choose love on a good day, but the rough days are when you have to make the conscious decision to choose love. 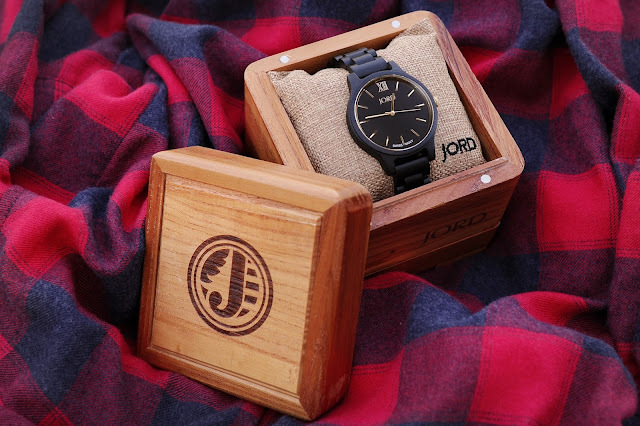 This Valentine's Day give the gift of time to your loved one by giving them a unique piece like a JORD Watch. Thanks to our amazing friends at JORD one lucky reader will win a $100 gift code to use on JORD.com. An added BONUS: Every person who enters will receive a $25 gift code to use at JORD at the close of the contest! The contest will close 2/26 at 11:59pm. Both the$100 and the $25 codes will expire on 4/30/2017. Winner will be chosen at random and contacted by JORD directly with gift code. I received product for my honest thoughts and review of JORD. All opinions expressed are my own. 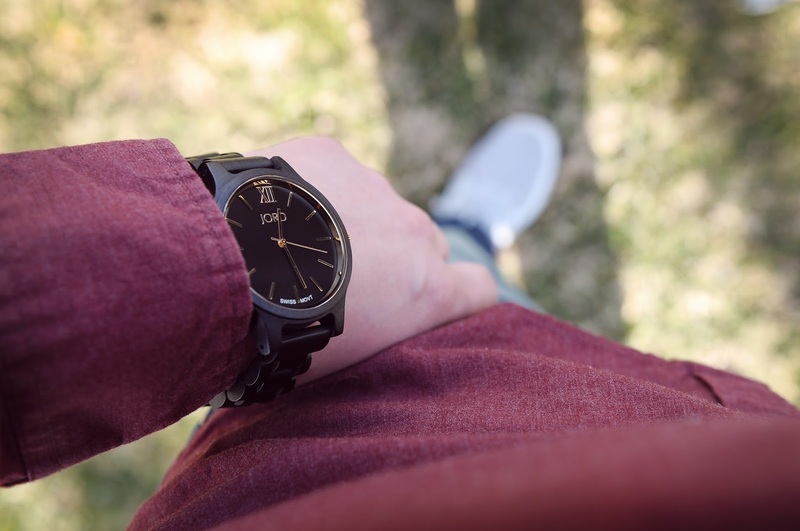 Love the dark wood on this watch! Thank you! I love the dark too!